Ricardo Idagi, Baramoney (Til Next Week) 2012. An exhibition of Melbourne-based Indigenous artist Ricardo Idagi's (Merium) sculptural works is underway at the Kluge-Ruhe. Gurari – Saltwater Drinker comprises 9 works made from a variety of materials - raffia and feathers to beer cans and wrought iron - each piece a reminder of his Torres Strait Island (Murray Island) home. The opening reception will be held on Thursday, 4 September (5.30-7.30pm). Ricardo Idagi will also be resident artist at the Kluge-Ruhe Collection between September 15 – October 4. A full schedule of Idagi’s exhibition and residency is listed below. All events are at the Kluge-Ruhe Collection. 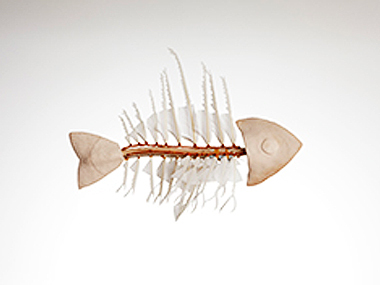 Join the Kluge-Ruhe Collection in celebrating the opening of its newest exhibition, Gurari – Saltwater Drinker, a group of mixed media sculptures by Torres Strait Islander artist Ricardo Idagi. Refreshments will be served, and this event is free and open to the public. Join us for Night at the Museum, your opportunity to explore our exhibitions after hours and enjoy the best food and music in Charlottesville! With food trucks, beer from Devil’s Backbone Brewing Company, and music from local band, Red and the Romantics, this event is not to be missed. For the final Night at the Museum of the summer, a new exhibition Gurari – Saltwater Drinker by Torres Strait Islander artist Ricardo Idagi will be on view, and the artist will be present for the festivities. This event is $5 for nonmembers and free for museum members. Torres Strait Islander artist Ricardo Idagi (Meriam) will give a tour of Gurari – Saltwater Drinker, the exhibition of his work on view at the Kluge-Ruhe Collection. This event is free and open to the public. Torres Strait Islander artist Ricardo Idagi (Meriam) will present his work and discuss his art practice as a sculptor and a musician. A small reception with refreshments will follow. This event is free and open to the public, but reservations are required. Please RSVP by calling (434) 244-0234 or emailing kluge-ruhe@virginia.edu. The exhibition is presented in partnership with the Australian Council for the Arts and the Vivien Anderson Gallery in Melbourne. News Categories: Blog | Event | News | North America | What's on?